Spring is here, and as the days begin to warm up you’re going to want to be around Vallecito Lake! Spend time at our cabins in Durango CO where you’ll enjoy everything from the blooming forests to our lovely rental options at Pine River Lodge, and all the fun activities that spring brings to our area. Here are three springtime favorites for you to try this season in Vallecito! Vallecito offers one of the most magical experiences for your spring stay when you book a Horseback riding tour. To reserve a spot, head down to our office and we’ll get you set up with a fun day traversing the mountainside with the wranglers at the local stable. They offer four options for horseback riding, one hour, two hours, a half day, and a full day, plus if you want to treat yourself, they also have breakfast and dinner rides available. There is nothing like a springtime hike with your family! When you’re staying at one of our beautiful cabins in Durango Co, you’ll find that there are plenty of places to enjoy a walk or stroll through the woods. 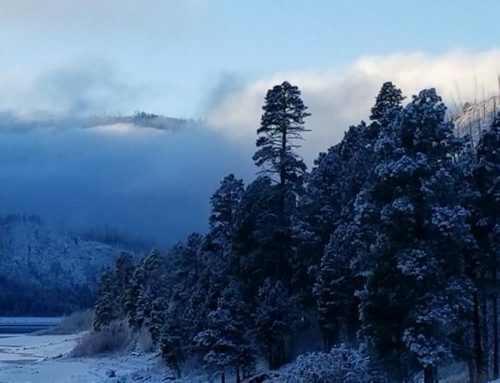 Whether it’s around Vallecito Lake or you’re spending your day in the San Juan National Forest, there is much to do when you lace up your shoes! The Weminuche Wilderness also offers a lot of trails like the Lake Eileen trail which is a shorter two-mile stretch. While the Vallecito and Pine River trailheads provide longer mileage for days spent wandering through Colorado’s wilderness. This spring make a splash in our indoor pool! At our central facility, we offer an indoor heated swimming pool for guests to enjoy. Swimming from 10 am to 9 pm is allowed and we recommend your kiddos bring small pool toys to make it a great time in the water. We also host an adult only swim, and exercise class from 9 am to 10 am. Whether you make a splash in our pool, hike your way through the Colorado wilderness, or you enjoy a peaceful horseback ride, there is so much to do here in Vallecito this spring season! Book your trip with Pine River Lodge, and we’ll get you in one of our cozy cabins in Durango CO for the ultimate getaway!